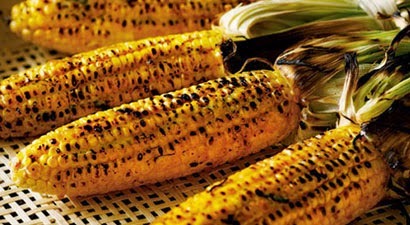 Rub corn evenly with olvie oil; sprinkle with salt and pepper. Grill, covered with grill lid, turning often, for 15 to 20 minutes, or until tender. Coat with butter spread immeditely. Garnish with lime wedges, if desired.